With the help of Tabletop and The Dice Tower, I made a couple (actually a lot) of initial purchases, threw in a little D&D 4e and we are on our way. I even managed to arrange for a Board Game Night for each of them with some of their friends with the caveat that I was fully prepared to throw anything electronic OUT THE WINDOW if they touched it. Complete success! There has got to be a something good under that tree - really good - because it is competing with the XBOX ONE - and no matter what good I have done to date - that, my friends, is some major competition. This is my list of ideas, so far. I will post the game and the reasons why I picked it. Please let me know what you think. If you don't like the choice, please suggest something instead that may satisfy the needs that the selection was made for. The list will be in title order. I doubt I will be able to get everything on the list for this Christmas, but at least I will have a running "good idea" list to refer to for other occasions. Boy #1 - age 12, color blind, very knowledgeable, very creative, likes to make up his own rules and scenarios, loves history. Boy #2 - age 9; very intelligent, problem solver, dot connector, math-y, hates losing to the point where he sometimes doesn't play to avoid the possibility. If I had any GG I would give some out for your help, but alas, I am new and GG-less. All I can offer is my thanks. You can also take pride in knowing that you are helping to covert these 2 great boys so that I may never have to hear those 4 words again. p.s. 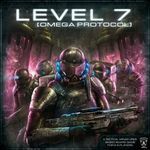 I am new to BoardGameGeek, so if I have done this incorrectly or there is some etiquette that I have breached, please let me know. I like this community! OK - we already have this one and all its expansions. I have this one on the list because Boy #2 LOVES it. It is his favorite out of all the games we have so far. He said he likes it because its silly. I think he also likes it because he is good at it and keeps winning. I am looking for something like this. I would say that the relevant characteristics are the funny faction combinations ( ) and that when it is his turn he feels like he has a lot of choices. I showed him the Small World video on Tabletop but it didn't interest him (the game looks fun to me). Do you think the video made it seem un-fun? 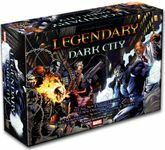 One of our favorite purchases is Legendary: A Marvel Deck Building Game - the whole family likes this game and this theme. So I had to pick up the expansions. They are going to look so EPIC under the tree. Already in the stash - hard not to pull them out at night when the kids are asleep and play alone. and the Pandemic: On the Brink, too. The boys love this game and I think these 2 expansions will add complexity and challenge. 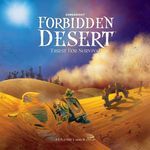 I have to say, they seem to be winning un-expanded Pandemic too often - I might have to revisit the rules (or at least the rules they are using ). I need to get some expansions for Boy #1, who is loving Memoir '44 so so much. He really wants the Memoir '44: Air Pack but that is, sadly, cost prohibitive (reprint PLEASE). 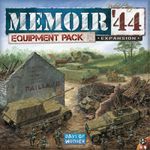 I got the Memoir '44: Equipment Pack already. 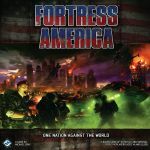 I am thinking about the Memoir '44: Terrain Pack / Memoir '44: Eastern Front / thoughts? I am looking for a game for my 12 year old son. He loves history so I got him Memoir 44 and he LOVES it but he is definitely more into WWI. I showed him a video of Paths of Glory and it didn't interest him - I am fairly certain it was because there were no tanks and guns (only cards/markers) and he wants "to blow stuff up, Mom". I would also say that it should be light/medium weight - but, to be honest, I am not sure. He is pretty intelligent and has a really good knowledge of history. And Geoffrey Engelstein suggested this. 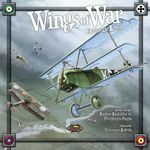 I found a used lot on the BGG marketplace that included this, Wings of War: Burning Drachens, Wings of War: Watch Your Back! and Wings of War: Top Fighters Booster Pack and it is here. I thought this was a great suggestion. No miniatures, though. Someone else suggested Axis & Allies: WWI 1914. I wasn't too sure about this one - the reviews seemed mixed. Did I make a good choice? Any other recommendations? Perhaps, I should just stick to expanding Memoir '44 since he loves it so much. I got this one because it sounded cool to me. And I thought that since the family liked the deck building idea this would be a cool twist on the mechanic. I have to say, that I am a little worried that my aging eyesight and my son's colorblindness might hit a wall with this one. The question here is - should I buy any expansions or wait and see if we like it? 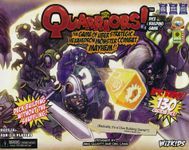 I have heard that the Quarriors! Quartifacts expansion makes the game a ton better. Thoughts? 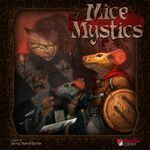 I watched this episode of Tabletop and really loved the kookiness of this game. 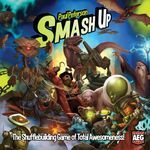 I think the kids will really like it because the experience reminded me of Munchkin and Smash Up and they like both of those. But I do see that there isn't much love for Fluxx - I hope that this one is excluded from that. Saw this one Tabletop, too. Boy #2 loves spooky things but gets scared easy - this one seemed a little silly, too, so he may be into it. Also, it might be an interesting challenge for Boy #2 to be the HAUNT. I think this game includes all the things that the kids love in Smash Up but is different enough. It has loads of characters and lots of things to do. There is a team aspect to it, which is interesting and might make it easier for the boys non-gamer friends to be included. OK - I don't even know what this game is about. My kids LOVE Plants vs. Zombies and this is too hard to resist! TOO CUTE! Boy #2 (and the hubby) love Munchkin so I am going to I am looking for expansions. They all seem the same to me, but Boy #2 seems to think Cthulhu is cool, so I am leaning towards this one. Thoughts? I might find some of those little packs to stick in the stockings. This seems really awesome - I love the idea that it's a story that you follow through. Also, several people told me that it is challenging and has replay-ability. This looks like Halo on a board. I think it is right up their alley and will appeal to their friends as well. Heck, it even looked like fun to me! Just to show them what it is all about. I think I can get the M14 Deckbuilders Toolkit for under $20. 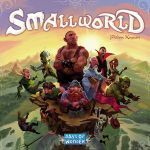 Boy #2 and I played this at a convention and we loved it. Boy #2 is only 9 and I was so impressed with his ability to quickly grasp the rules of this new (to us) game and play competitively even though it was his first time. I was one proud Mama! I am worried about Boy #2's color blindness with this one. The symbols they have put on the boards seem worthless to me so I am not sure how it will work. I think Boy #1 will really like this game. Plus I think Grampa will enjoy buying it for him! What can I say - the kids like zombies! Boy #1 played this game at a gaming convention and said it was the best game he played all weekend. I am worried about the possible "adult content" that may be included here. Can anyone shed some light on that? Boy #1 and I played this at a game convention and we had fun. As I previously mentioned, Boy #2 is a bit obsessed with Cthulhu - I am not sure why. He asked for Arkham Horror - although this game seems AWESOME, I don't think we will ever find the time to play it. With school and all their activities, we can barely squeeze in a round of Zombie Dice. But it won't take 6 hours to play. 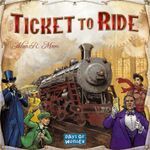 We don't have an auction game and this looked fun, quick and cheap. This game seemed like it would be good to take out when the boys' non-gamer friends are over. It seems fun, challenging but super accessible. I really want this game - will it ever be in stock? I love my kids to be exposed to "stories of survival" - when someone "makes it through" against all odds. This is like that! I think this one will be great! Also, gamers we run into keep recommending this game to my kids. This game seems perfect to me, but I showed my kids the Tabletop episode and they thought it looked boring. I don't get it. Regardless, I heard they are coming out with a deluxe edition, so I think we will reevaluate at that time and this one won't be under the tree. Is the Tabletop episode a good representation of this one? 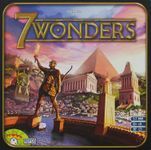 The hubby played this for the first (and only) time at a game convention and he demolished the competition so he thinks he is the king of the "7 great cities of the Ancient World" - oh, and he had fun. I already picked this up on sale.